What are the Young Conservatives? YC is the movement for under 25s, including all members of the Conservative Party of this age. YC is the largest youth political organisation in the UK, with more than 15,000 members. The organisation is all about involving young people in politics and addressing the issues that matter to them. West Lancashire Conservatives have a YC branch, please contact the office for more details. The branch is organising campaigns, helping in elections, social action projects, social events, debate nights and much more. There is a West Lancs Conservatives Facebook group, details below. What events take place in West Lancs ? We have had a stall at Edge Hill University's Fresher's Fair each year since 2011. We had a Coffee morning in 2012. We hosted a Race Night in 2013. 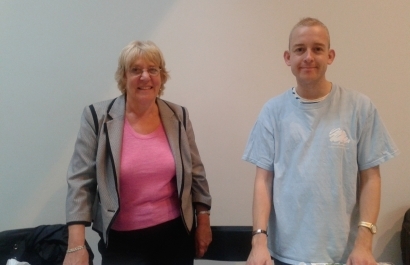 Since the summer of 2013 we have had regular meetings and hosted a Debate Night with host Jacqueline Foster MEP and then a Discussion Night. In 2014 we hosted a Local Politics Lunch. 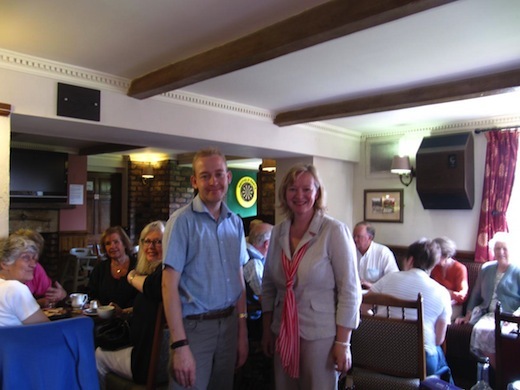 We also visited the Cheshire and Wirral Conservative Conference in Ellesmere Port. Our first AGM took place in February 2014. We have also attended the 2014,2015 and 2016 Fresher's Fairs. We did not attend in 2017. You might also like to get involved in our Social Action Projects. The West Lancs Conservatives Facebook can be found here, please like our page ! There is an application form on this page. Or why not join online with our online payment application (see right side of this page) ? Mail: 72C New Court Way, Ormskirk, Lancashire, L39 2YT. 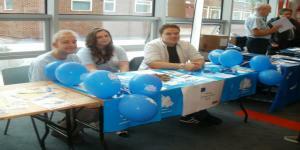 Fresher's Fair Stall in 2011 at Edge Hill University. Coffee morning in May 2012. 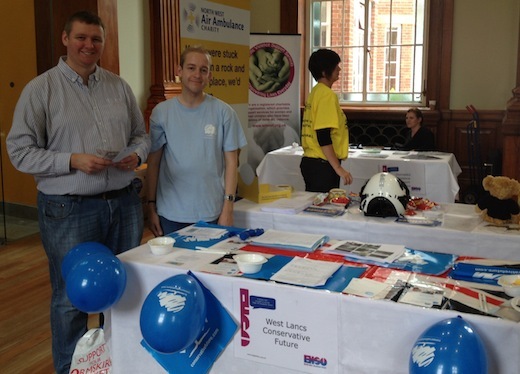 Fresher's Fair Stall in 2012 at Edge Hill University. 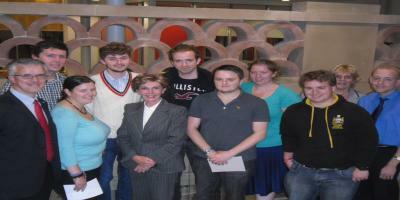 September 2013 Debate Night with Jacqui Foster MEP as Chairman. Our 2015 AGM took place on 8th January 2015. We attended the 2015 Edge Hill University Fresher's Fair. We had AGMs in 2015, 2016, 2017 and 2018. Rebecca Gregory and Edward McCarthy at the 2016 Edge Hill University Fresher's Fair. "It is a great time to be a Conservative, it is a great time to be in CF." 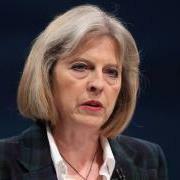 Theresa May - Prime Minister.